I’ve been in a whirlwind since my first runway show! Every time I turn around I am taking orders, loaning out clothes for photo shoots and the like. I have also had more and more people asking for my lookbook. A lookbook I do not have. So in the essence of branding I am shooting my first lookbook and have chosen the model to be my muse. Karl Lagerfeld had Kimora Lee Simmons in the late 80s, Halson had Pal Cleveland in the early 70s, and I have Nya Johnson. Nya Johnson opened my runway show and has been featured in DC Fashion Week. She is a budding model and personifies the Nichole Alabi aesthetic. She is young, fresh, and fearless. Recently Nya did a portfolio shoot wearing a piece from my S/S 2010 collection and solidified my choice in using her for the upcoming lookbook (see picture above). 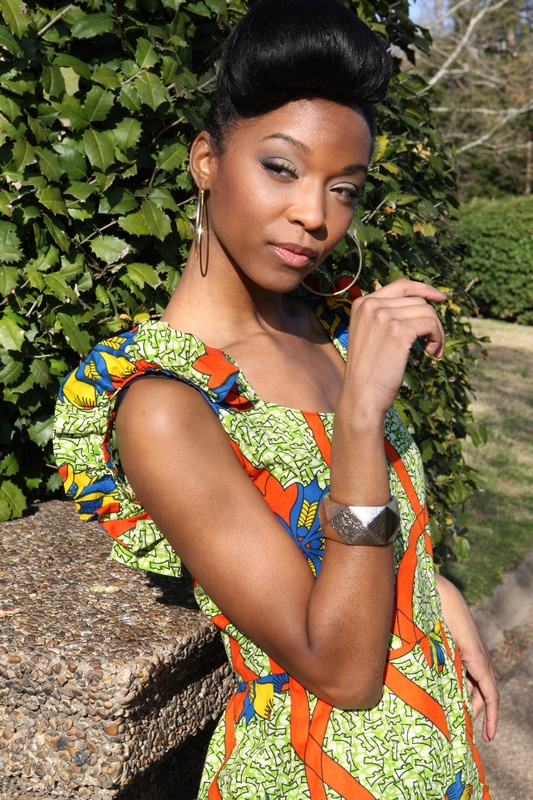 Check out some of her work below and look out for her in my upcoming lookbook. She’s dope good choice Alabi!